With the release of the upcoming Thief reboot slowly approaching, we finally get to see some gameplay footage of Garrett doing what he does best. In the latest trailer, we see three minutes of the master thief slinking through the shadows to steal something known as the Heart of the Lion. Enjoy. It’s hard to watch this trailer and not draw comparisons to Dishonored, but if there’s one modern stealth game I don’t mind Thief riffing on, it’s that one. 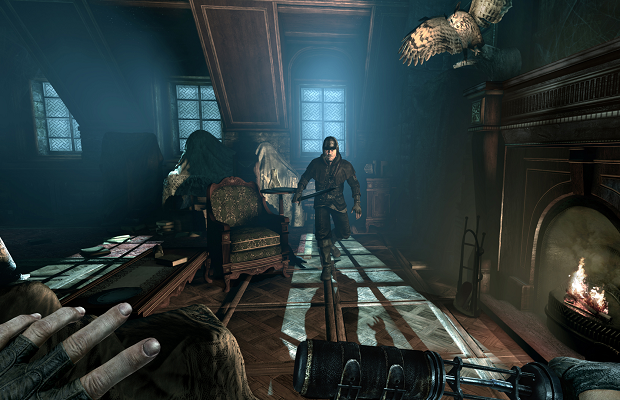 Thief is scheduled to hit PC as well as current and next-gen consoles next February.